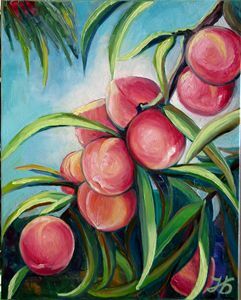 Folk art oil painting. A bright and cheery artwork. 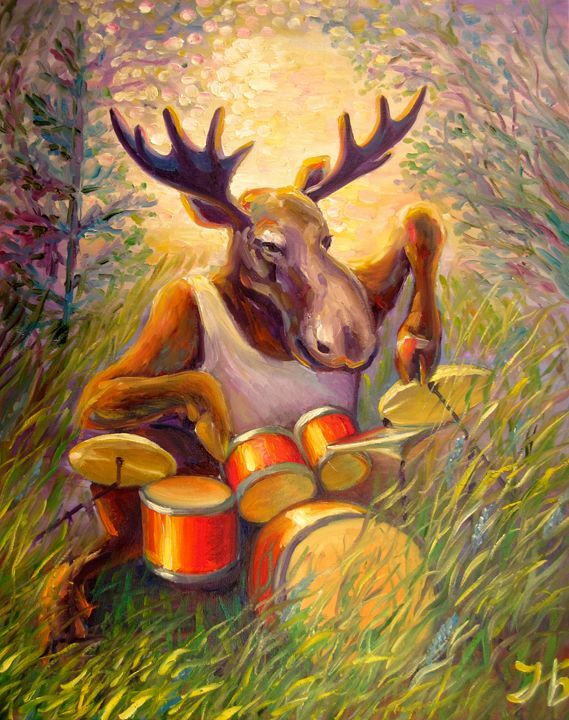 A moose is playing drums.